T-015 Amazon advertisement in Tamil Nadu (2015). 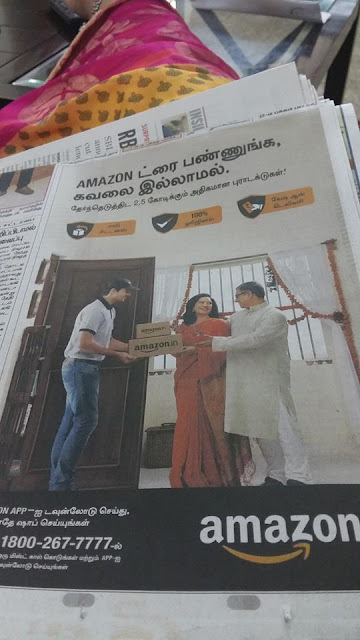 While we appreciate they include Tamil in their advertisements, they are killing Tamil with so many English words instead of commonly used Tamil words. 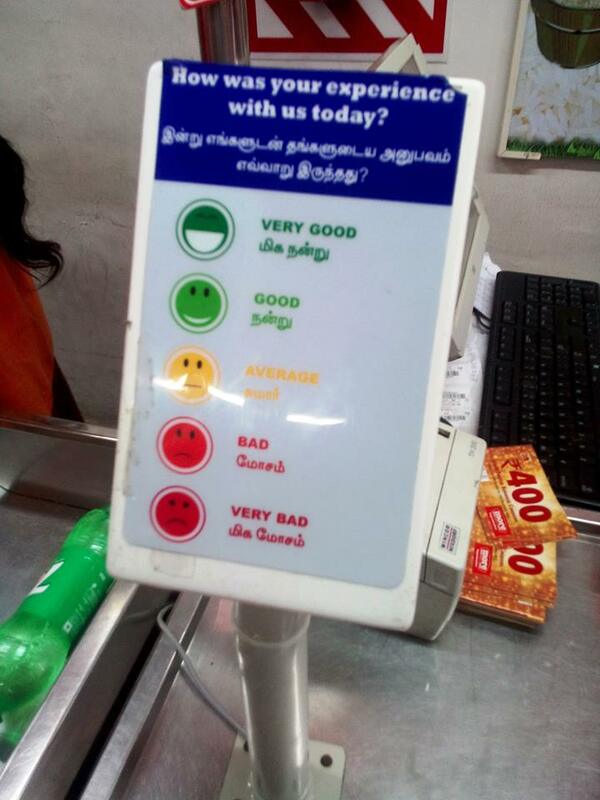 T-016 MORE Supermarket in Chennai uses Tamil in its electronic feedback (2015). T-018 Colgate toothpaste package has "colgate" written in Tamil and English. 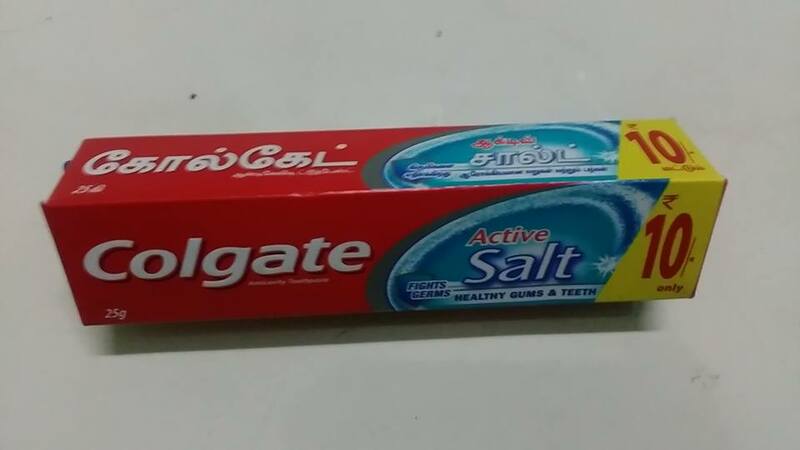 We applaud it but the word "salt" is written in Tamil script instead of using the Tamil word "uppu" (2015). It is obviously done by some lower or mid-level employee, it is up to us to bring it to the attention of a senior manager. T-021 A taxi driver in Karnataka has this sign where passengers can read it (2016). 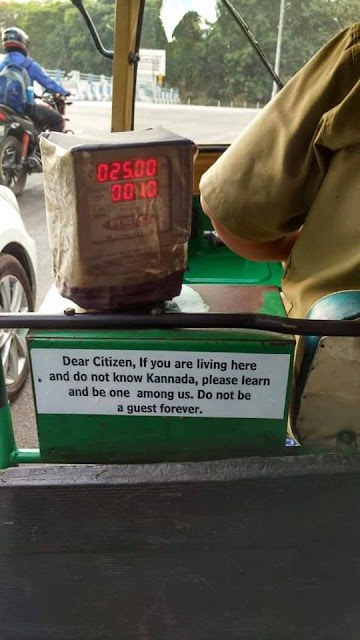 Many out-of-staters (especially Hindi speakers) live in major cities in non-Hindi states for years and do not klearn the state language. 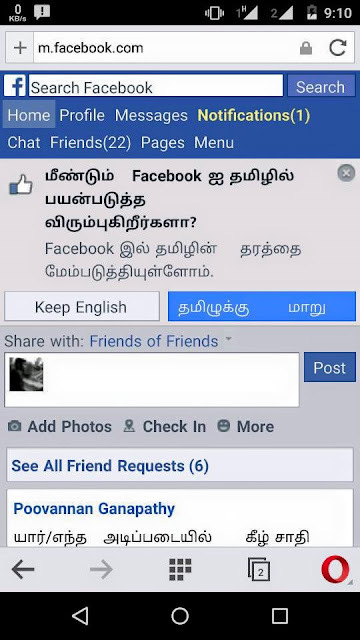 T-022 If some one changed from using Tamil to some other language in the past, Facebook informs them that quality of Tamil in Facebook has been enhanced and asks them if they want to switch back to Tamil. 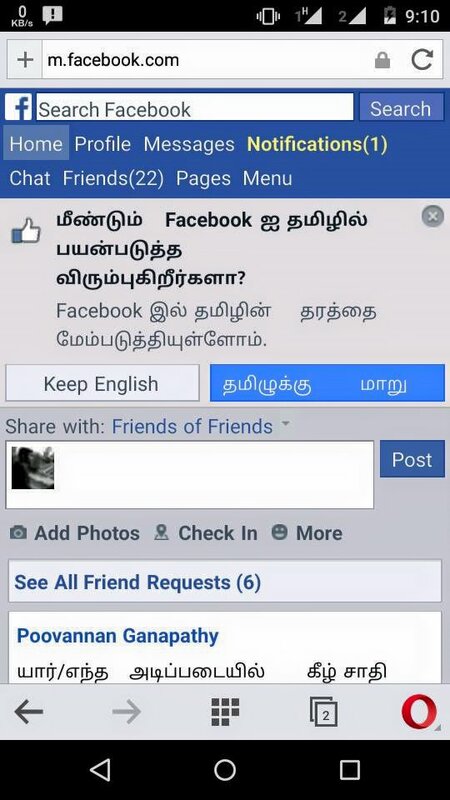 Thank you Facebook. 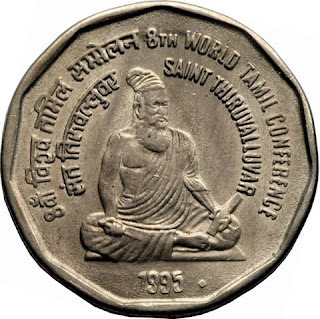 T-023 Indian Government issued a coin in honor of Valluvar during the 8th World Tamil Conference in 1995. It has inscription in English and Hindi only; no Tamil.